The lawsuit challenged leases issued in Wyoming, Utah and Colorado in 2015 and 2016, during President Barack Obama’s administration. “Given the national, cumulative nature of climate change, considering each individual drilling project in a vacuum deprives the agency and the public of the context necessary to evaluate oil and gas drilling on federal land,” Contreras wrote. The ruling coincides with an aggressive push by President Donald Trump’s administration to open more public lands to energy development. It came in a lawsuit that challenged leases issued in Wyoming, Utah and Colorado in 2015 and 2016, during President Barack Obama’s administration. Only the leases in Wyoming were immediately addressed in Contreras’ ruling. 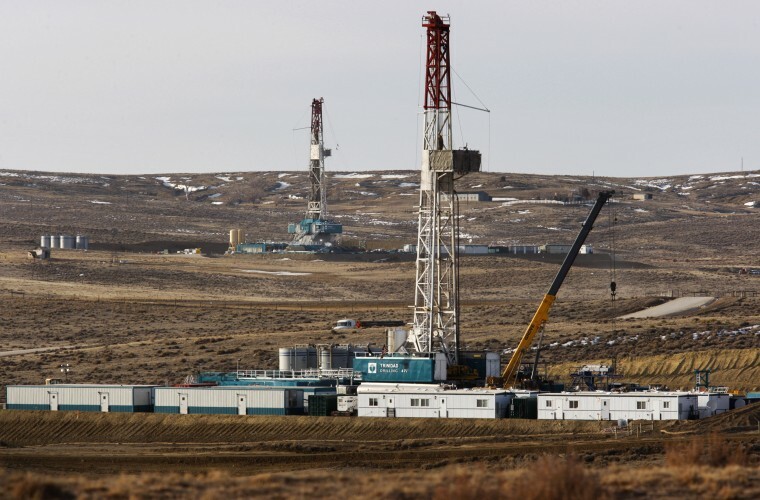 It blocks federal officials from issuing drilling permits until they conduct a new environmental review looking more closely at greenhouse gas emissions. Wyoming Gov. Mark Gordon criticized the ruling, saying carbon emissions shouldn’t be reduced at the expense of workers who provide reliable and affordable energy. “Bringing our country to its knees is not the way to thwart climate change. We need solutions not grandstanding,” said Gordon, a Republican. Emissions from extracting and burning fossil fuels from federal land generates the equivalent of 1.4 billion tons annually of the greenhouse gas carbon dioxide, according to a November report from the U.S. Geological Survey . That’s equivalent to almost one-quarter of total U.S. carbon dioxide emissions. This entry was posted in climate change and tagged global warming, oil by Exposing the Big Game. Bookmark the permalink. Brilliant…I guess ol’ Gordon just doesn’t get it. Nip climate disrupting venues at the source, not later down the road.